Rebecca J. Hubbard is a master's level marriage and family therapist who writes stories for kids that assist adults in helping kids cope with difficult life experiences. She also provides equine assisted psychotherapy for adults and children. I am a master's level Licensed Marriage and Family Therapist. I have been helping people with traumatic pasts for twenty-three years. I am passionate about helping people of all ages live full and healthy lives. I have worked in a variety of settings, (office, in-home, schools) including in the field as a first-responder where I provided psychological first aid to children, families and adults who witnessed or were victims of violence or experienced natural disasters. My private practice is located at Pecan Creek Ranch in Georgetown, TX. I am a co-owner and co-founder of Global Equine Services For Professionals, LLC (GES4P). GES4P provides consultation and training for professionals who practice equine assisted psychotherapy (EAP), and consultation and training for organizations that want to develop healthier relationships within and outside of their organization and healthier systems. GES4P also developed a learning community for EAP professionals where they can grow their practice and their skills in providing equine assisted psychotherapy. I am also an author and I write children's books that assist adults in helping kids cope with difficult life experiences, such as a traumatic event, fears or making friends. Each book is written to sensitively address the difficulty and show the importance of healthy relationships with self and others. 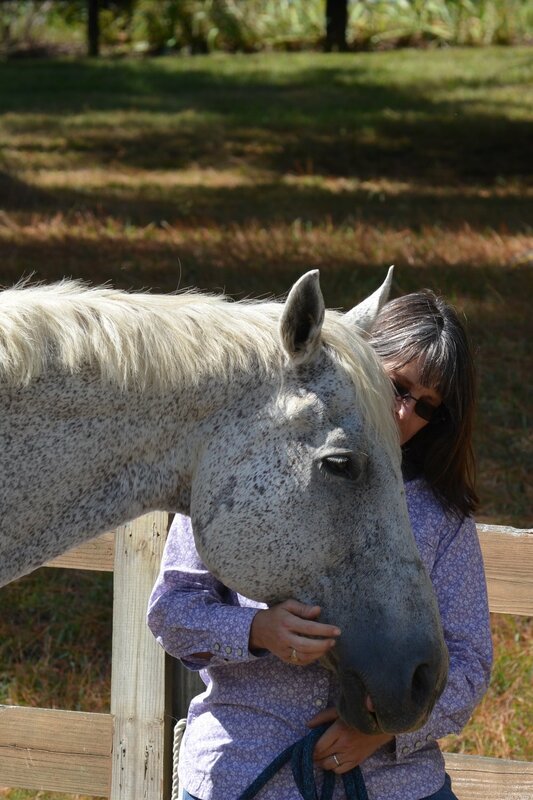 I am dually certified in Natural Lifemanship, a Trauma-Focused Equine-Assisted Psychotherapy Model, as a clinician and an equine professional, and I am trained in two evidence based treatment models, Child Parent Psychotherapy and Trauma-Focused Cognitive Behavioral Therapy. I have over ten years of experience providing Child Parent Psychotherapy, a model that focuses on helping parents and children five years of age and younger who have experienced interpersonal traumas, such as domestic violence. I have over fifteen years of experience providing Trauma-Focused Cognitive Behavioral Therapy, a gradual exposure model, to children ages four to eighteen. I have provided consultation in both of these models and conducted numerous trainings on the impact of trauma on children and adolescents. One of my areas of interest is dissociation and how individuals use this strategy to cope with severe trauma. I have received additional training in the assessment and treatment of traumatized children and adolescents who have dissociative symptoms and disorders. Helping people trust their bodies again and feel at home in them is one of my greatest joys. I was one of the authors of the NCTSN white paper on complex trauma, as well as one of the authors of Complex Trauma in Children & Adolescents, published in Psychiatric Annals in 2005. My work with children lead me to become an author. Although I have always written for fun, I began writing stories to facilitate the healing of my young clients. Stories are a non-threatening way to provide information and to engage children in conversation. This grew to fulfilling a need for therapeutic books about all types of traumas. I enjoy writing stories for children that help children heal, grow and learn about themselves and the world around them. Many of the books I write are designed to help children who have experienced traumatic events. These books are just as helpful to parents who are trying to help their children as they are to professionals who work with children. I hope that my stories are enjoyable for all ages and provide children and adults with the opportunity to talk about difficult but important subjects. I am passionate about helping children understand their own and another person's world view, to understand the experiences either they have had or other people have had, to help them feel less alone in the world, and increase their compassion for themselves and others. I truly believe as Dr. Angelou once said, "The world is changed one child at a time." In addition to my private practice, and being an author, I work full time as a clinician at Williamson County Children's Advocacy Center, where I provide evidence base treatment for children who have experienced abuse. 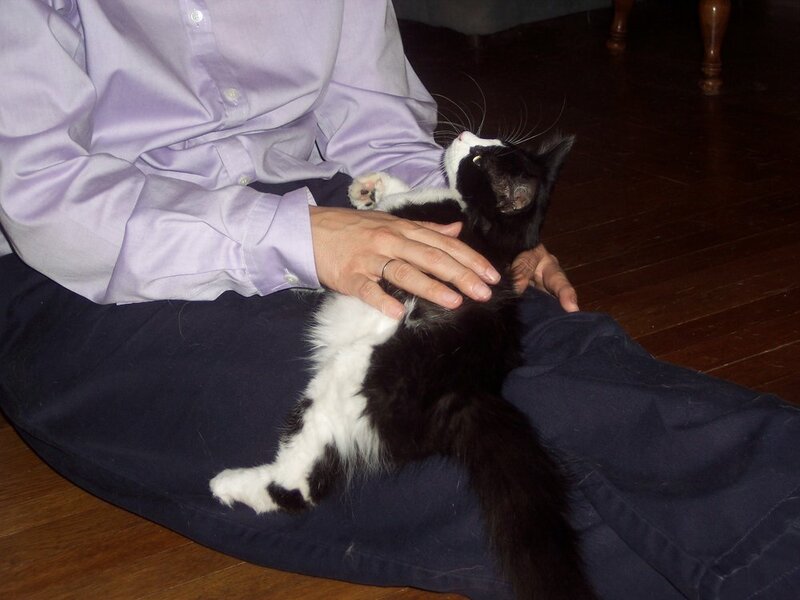 I am also a Natural Lifemanship trainer. 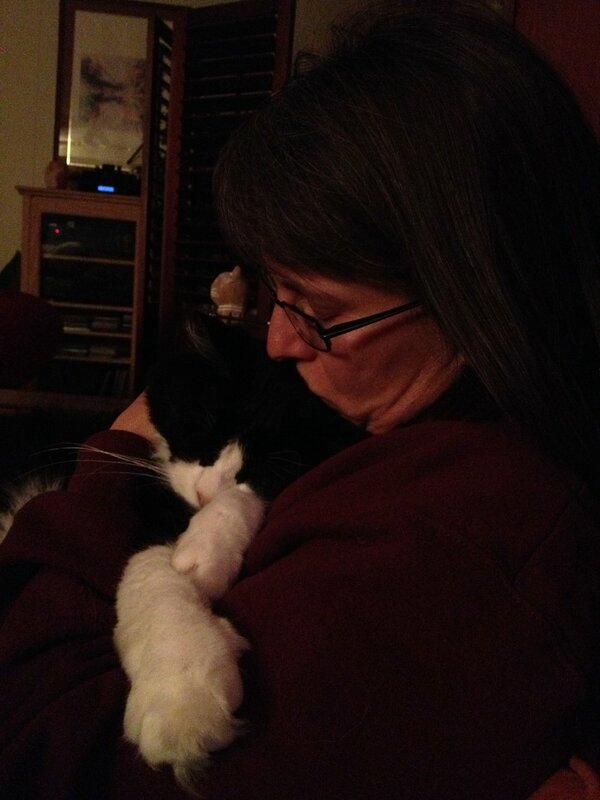 Sidney loved to snuggle and receive kisses. Who knows why...it could have been anything!